Albert Hufkens and Kjenten Van Hecke: an exceptional combination..
Westmalle, Belgium – Weather-wise, the spring of 2014 couldn’t be better… just ideal for enjoying everything that is good in life and with the pigeons. And into this spring feeling, the achievements of the combination Hufkens-Van Hecke fit perfectly. 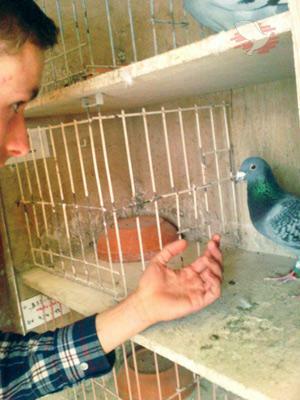 The combination consists of Albert Hufkens, 72 years of age and experienced in life, and the pigeons of Kjenten Van Hecke, 17 years old and a breath of fresh air in the pigeon world in Antwerp. 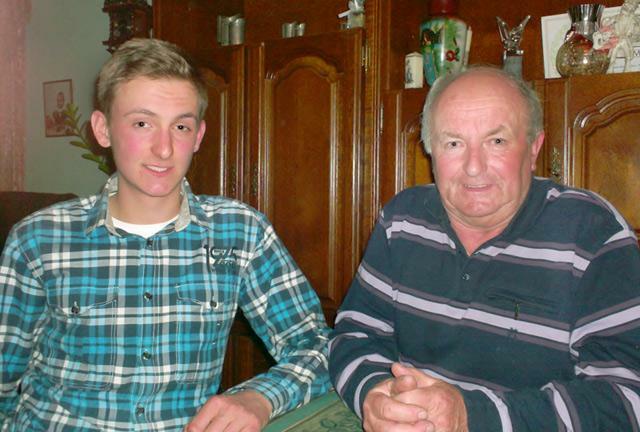 In 2009 Kjenten and his mother moved from Oost-Vlaanderen to Zoersel… in the name of love… Kjenten’s mother and Albert Hufkens’ son became an item, and one thing led to another. There are 20 couples in the breeding loft… they rear two rounds of young and are then re-paired again for the third round. There are 30 widowers. Everything is done in an easy companionship between Kjenten and Albert, but they both have specific roles. 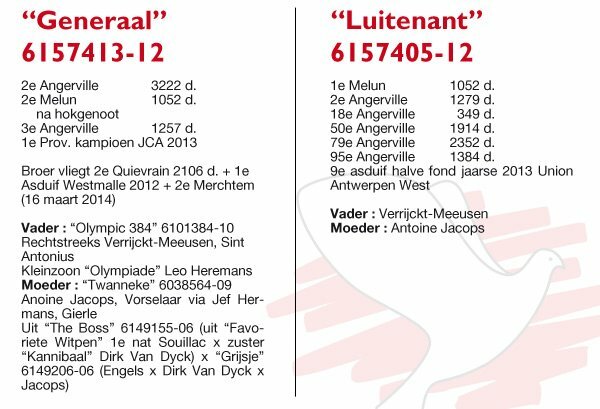 The loft for Quievrain and Noyon is managed by Albert, and the loft for middle-distance and long-distance belongs to Kjenten. 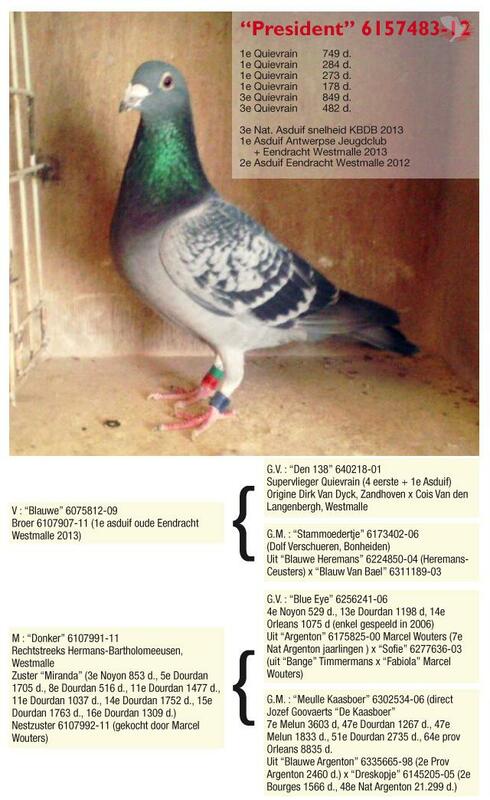 The breed of Cois Van den Langenbergh is a common factor in all the pigeons. 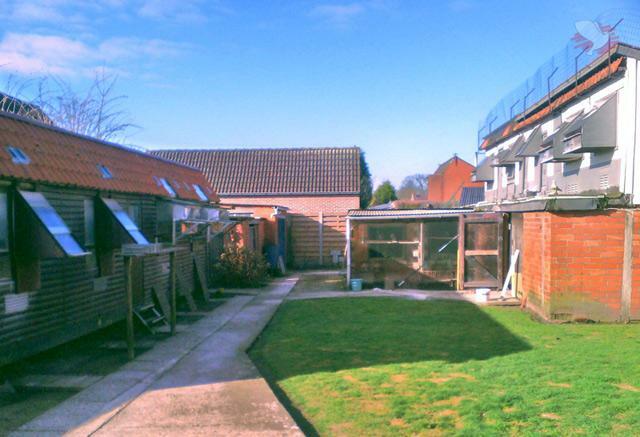 Cois died in January 2001, but his pigeons were not sold until October. During this time, the pigeons were looked after by Albert, and at the sale, he was able to buy his favorite pigeon, ‘De Kleine Blauwe’. And the latest news is that Albert and Kjenten became 2nd, 3rd and 4th against 96 pigeons (with brother ‘Generaal’ in the lead). 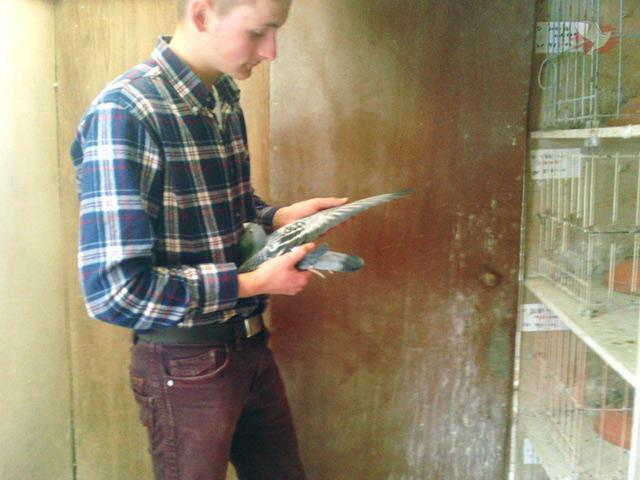 For Albert and Kjenten 2013 was also a year with a lot of young pigeon misery. Of the 80 young pigeons that they bred, only seven remained after the season, and of these seven, two more were disposed of.